Custard represents a variety of culinary preparations varying in thickness based on the amount of custard powder or egg is used. 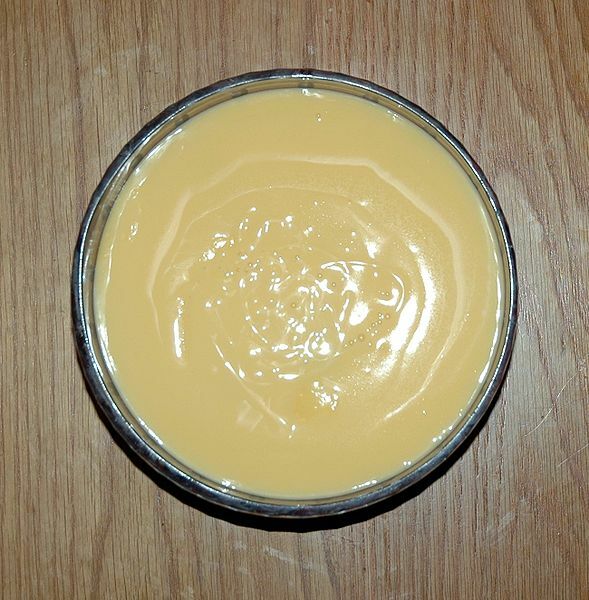 Custard is mainly used in preparing deserts, either as its own dish or as a filling or topping for other items. You can also use it as baby food. In a large enough microwave safe dish mix all of the ingredients well. Place the dish in the microwave and set to high for 2 minutes. Once done, stir the custard ingredients well. Use 1 minute increments to continue to heat the custard, stirring between each minute. It may take up to 4 minutes to fully heat and get the right consistency. If your ideal custard is thinner, you may only need to use 2-3 increments.